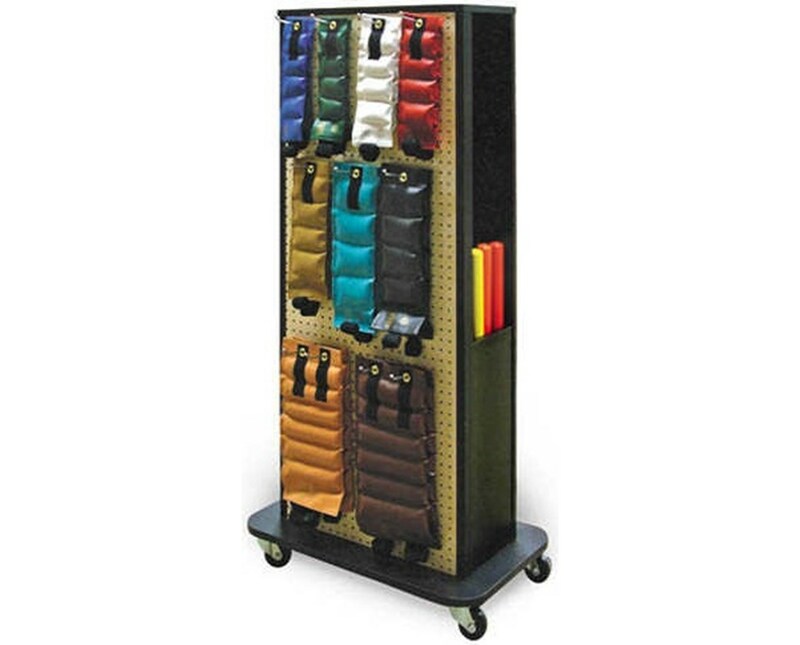 The Hausmann Industries Econo Weight Rack is a high-capacity medical storage device designed to hold and store exercise equipment like dumbbells, exercise bands, weight bars and other weights. Because of this, it is a great addition to any physical therapy or rehabilitation therapy. Awesome Design. 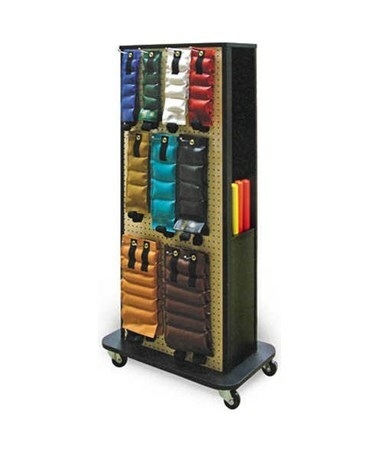 Made with a black laminate finish, the Econo Weight Rack has a pegboard with eleven (11) hooks for Hugger® weights on one side and twenty (20) dumbbell hooks on the other. 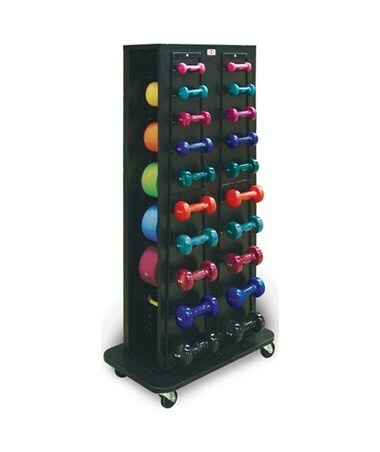 It has a built-in dispenser that can hold five (5) REP Bands™ and a built-in compartment for weight bars. The base plate of the rack has a T-molding to avoid any damages or scuffs. Its mounted on four (4) 3" diameter swivel, easy-rolling casters for hassle-free movement around the facility. One (1) Set of 3 Weight Bars - 1 lb., 2 lb., 3 lb.